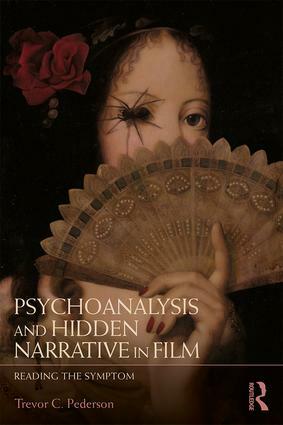 Psychoanalysis and Hidden Narrative in Film proposes a way of constructing hidden psychological narratives of popular film and novels. Instead of offering interpretations of classic films, Trevor C. Pederson recognizes that the psychoanalytic tradition began with making sense of the seemingly inconsequential. Here he turns his attention to popular films like Joel Schumacher's The Lost Boys (1987). While masterworks like Psycho (1960) are not the object of interpretation, Hitchcock’s film is used as a skeleton key. The revelation that Norman Bates’ character had been his mother all along, suggests a framework of reading a film as having symptom characters who are excised to create a latent plot. The symptom character's behavior or inter-relations are then transcribed to an ego character. This is a shift in the tradition of literary doubling from hermeneutic intuition to a formal methodology that generates data for the unconscious. Pederson continues the project of unifying competing schools into a single model of mind and offers clinical examples from his own practice for all its terms. Psychodynamic techniques that emphasize the importance of working with the body, the id, and the ubiquity of repetition are introduced. A return to Freud’s structural theory, in which complexes are anchored in the stages of superego development, is used to carefully plot and explain the social nature of the superego and its relation to authority in society (secondary narcissism) and the otherworldly (primary narcissism). Discrete phases of superego development and their ties to both the social and the id revive the grand promises of classical psychoanalysis to link with every field in the humanities. Psychoanalysis and Hidden Narrative in Film will appeal to psychoanalysts and psychoanalytic psychotherapists as well as scholars of film studies and literature interested in using a psychoanalytic approach and ideas in their work.